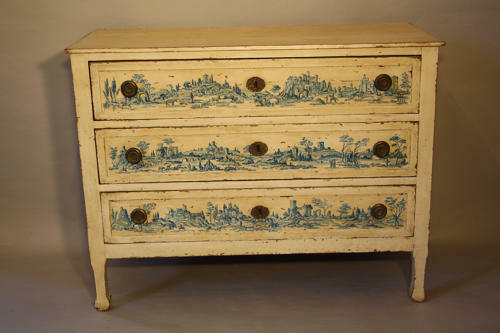 An unsual chest of drawers with Italian landscape and pastoral scenes painted in blue. C19th but possibly later painted. Both charming and functional!